Did you notice Today's Special? 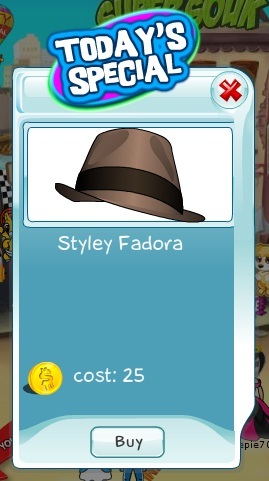 You can add a pretty awesome Styley Fadora to your hat collecton. It would look cool on girls too - it's not a boy-only item. Try it on and let me know what you think.